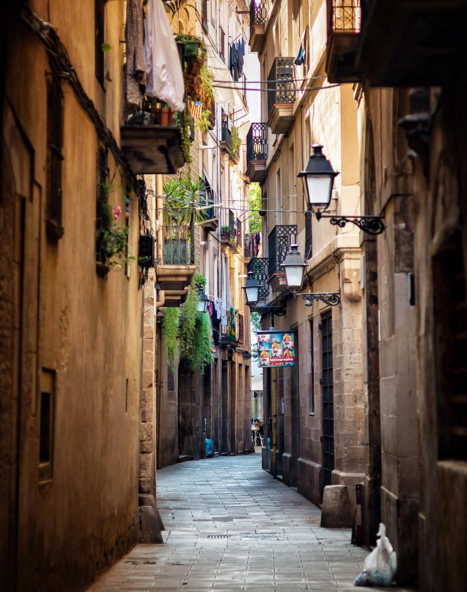 Barcelona may seem large and daunting at first approach, with its maze of windy cobbled alleyways; but after awhile, it suddenly feels like home. 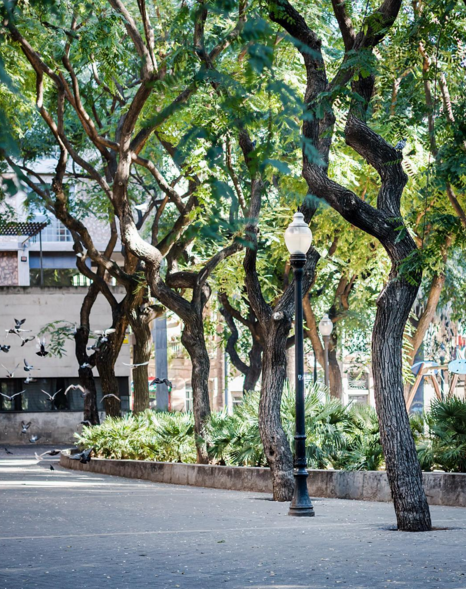 Streets untangle into a patterned network and neighborhoods (barrios) that once seemed remote are just a short walk away. From the Medieval and Roman history of the Ciutat Vella to the sunny squares in Gràcia and the grand avenues of the Eixample, every neighborhood in Barcelona is unique. Not only that, the city is easy to traverse by foot; but if you’re going a bit farther, or the weather has you on the run, public transportation in Barcelona is superb and simple to master. The question being, what are the top neighborhoods of Barcelona, and how do you know which are idyllic for you? 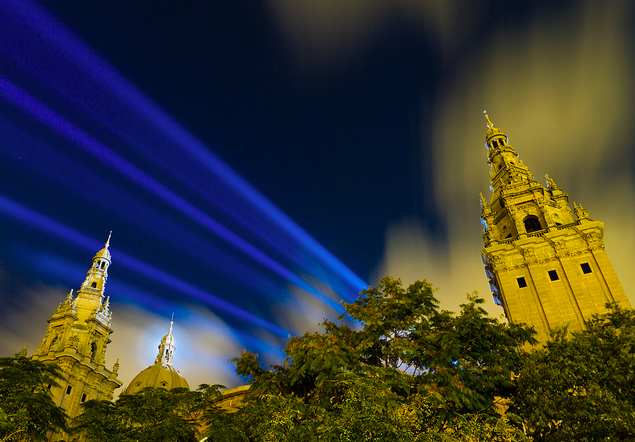 Barcelona’s neighborhoods are waiting for you! Perhaps the most seminal of all of Barcelona’s neighborhoods, the Barri Gòtic is thus named for its multitude of impressive Gothic structures, from the Catedral de Barcelona to the Basílica de Santa Maria del Pi. At the heart of this compact part of the city are the remnant of Barcelona’s beginnings — the Roman settlement of Barcino. In addition to enchantingly-narrow and labyrinthine streets, towering churches, lively plazas and Roman ruins, the Gòtic is home to the busiest shopping avenue of the city (Portal del Àngel) and many great restaurants. Enjoy a glass of garnatxa in a small wine bar tucked into the Medieval Jewish quarter just steps from the City Hall, snack away on heaps of crispy fried anchovies down by the port or enjoy a gourmet coffee at some of the coolest spots for brunch downtown. The Raval, on the south-western side of Les Rambles, is the most ethnically diverse part of downtown Barcelona. With a large community of Pakistani, Indian, and Filipino immigrants, this neighborhood has two distinct faces. 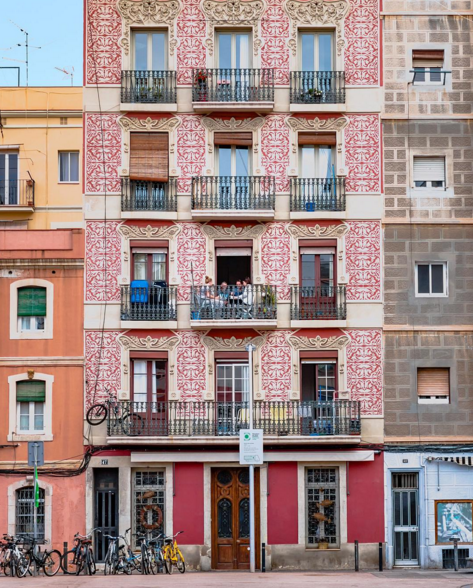 By day, you find the local and foreign residents going about their lives among El Raval’s humble narrow streets and plazas. By night, however, this area comes alive with students, locals, and expats eating and drinking on the cheap. The Raval has its offer of upscale dining too, but by in large, you’ll find packed dive bars, kebab shops, and sandwich joints. The Museu d’Art Contemporani de Barcelona (MACBA) museum is a popular hangout for the crowds of skateboarders who flock here 24 hours a day, and the Rambla del Raval is a sunny place to relax with a drink and recharge. 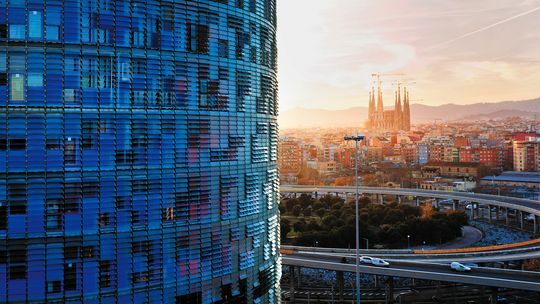 Historically, one of the most industrial areas of Barcelona, Poble Nou (“New Town,” a sub-district of the area known as Sant Martí) has been given fresh life thanks to the steady growth and expansion of the city’s tech industry. On the border of the “22@ Innovation District” — a burst of construction that brought many new, modern buildings and jobs to the neighborhood starting in 2000 — Poble Nou has modern architecture, converted warehouses, co-working spaces, creative agencies, and office buildings all sharing plots with crumbling smokestacks and overgrown lots that serve as graffiti artists’ playground. Many consider Poble Nou the most up-and-coming area of Barcelona, with new restaurants, wine bars, developments and companies bringing young life and energy to these quiet, post-industrial streets. Flanking the coastline and more space than in the old city center (plus a charming pedestrian rambla of their own, the La Rambla de Poble Nou), more and more people are choosing to live, work and play here. A small neighborhood bordered on the top by Gran Via de les Corts Catalanes, on the right by the Ronda de Sant Antoni and the Ronda de Sant Pau, and on the left by the Avinguda del Paral·lel, Sant Antoni has long had its own unique identity. Anchored by the impressive, antique Mercat de Sant Antoni (an ornate, cross-shaped building from 1882 that is currently being restored to its former glory and will reopen as one of the city’s largest fresh markets in 2017), this barri is full of locals. Especially on the weekends, the temporary market at the base of Ronda de Sant Antoni is packed with Catalan families and seniors doing their shopping, while at the same time, the trendy street of Carrer del Parlament is teaming with the younger breed of local hipsters enjoying brunch — or a vermouth aperitivo — at one of the many bars and bodegas that populate these busy three blocks. Eixample (The Extension) is home to the most emblematic examples of Modernist architecture in Barcelona. With Passeig de Gràcia at its core, this expansive area is divided into the Dreta de l’Eixample (Right Side) and Esquerra de l’Eixample (Left Side). 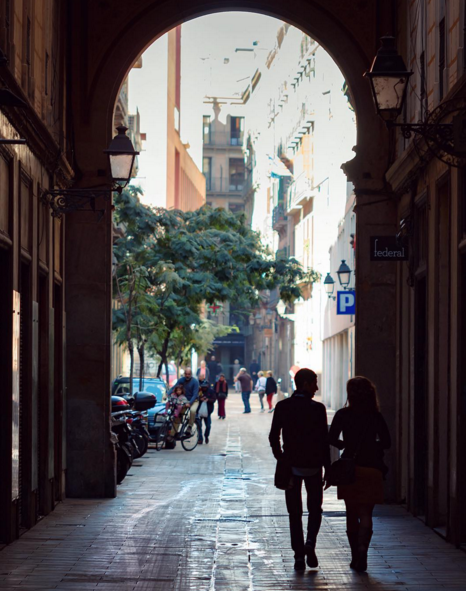 With wide avenues, sun-filled, chamfered intersections, beautiful buildings, upscale shopping and diverse dining options, Eixample is a vast neighborhood that plays a key role in every visitor’s stay in Barcelona. From Gaudí’s Casa Milà and La Pedrera to the picturesque Rambla de Catalunya, this sprawling district serves as a monument to the late 19th and early 20th century; a true golden era in the history of the city. Craft Brew Pub: Garage Beer Co.
Teaming with tourists, but still holding many treasures and lesser-known gems, the beachside barri of La Barceloneta has long been the home of the working-class and fishermen of the city. However, after the massive renovations leading up to the 1992 Summer Olympics, the Barceloneta is primarily geared towards tourism now, with countless restaurants, bars, rental apartments, and beach bars along the busiest strip of sand in the city. Though the street of Passeig de Joan de Borbó and the promenade along the Barceloneta beach are inundated with people from June until October, head just a few blocks in towards the center of the Barceloneta and you can find narrow streets with old-school seafood restaurants and vermouth bars that haven’t changed decoration in what seems like a century. These bars “de toda la vida” (life-long) are still popular with the locals who grew up enjoying leisurely weekend meals near the seashore. Though there are also new and trendy spots throughout the Barceloneta, the best places are those that are often labeled by locals as “bueno, bonito y barato” (good, pretty, and cheap), of which there are many. Barcelona is a stunning, vibrant and dynamic city to explore, and with luck, you’ll now be a touch more confident diving in. That said, if you need a little guidance, or a customized tour of the city, don’t hesitate to contact us! Whether you’re hunting for a gourmet cooking class, a historical walking tour or a geeked out wine course, we’re happy to customize the perfect experience for you! Discover Barcelona’s Treasures with Catavino. Book a Tour!